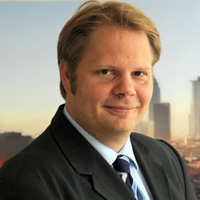 Ulf Moslener is professor for sustainable energy finance at the faculty of Frankfurt School. As Head of Research of the UNEP Collaborating Centre for Climate and Sustainable Energy Finance his current fields of research are the economics of climate change, financing sustainable energy systems and climate finance. He is representing Germany in the UN Standing Committee on Climate Finance. Drilling deep, extracting the natural resources and use them to produce electricity is typically associated with gas or oil. But there are alternatives. In some world regions the so-called geothermal energy is accessible at reasonable costs. The fact that 99% of the earth is warmer than 1000 ° Celsius and only 0.1% is colder than 100°C is indicating considerable potential. As of 2015 relevant capacities are installed in the US (in total equivalent to about 4 nuclear power stations), Philippines and Mexico (about 3) or Indonesia (about 1.5) but a lot of countries are increasingly using this technology. The global potential – even at current technologies and costs – is expected many times higher but is rather unexploited until now. Generating electric power based on geothermal energy is attractive (i) because of the low CO2 emissions and (ii) because electricity can be produced around the clock. Unlike many other renewables options, it does not matter whether the wind is blowing or the sun is shining. The main caveats are that geothermal energy is not available everywhere and that it is uncertain whether the resource will actually be found at a given site – even if it is situated in a geothermal region. The latter being a main reason why investment does not materialize according to the resource potential. This is typically called exploration risk. In practical terms: It is difficult to determine where exactly to drill for geothermal resources and then it is expensive to actually perform a test drilling – while it is still uncertain whether the resource will actually be found at that specific place in sufficient amounts to run electricity production. Substantial uncertainty and high costs make many investors shy away from realizing this vast low climate friendly emission resource potential. Our study looks at this geothermal resource risk and shows how governments and commercial actors across the globe are dealing with this. Long-term experience from the oil and gas industry is helpful but only to some degree as looking for hot water is geologically different from looking for oil and gas. Furthermore the fossil fuel exploration industry could develop over a longer timeframe such that risks are better understood. The oil and gas industry is also characterized by stronger capitalized firms and lower success probability. We identify a variety of approaches in 26 countries where geothermal energy is used and has significant potential. In some cases the government simply acts through state owned enterprises which can take the risk because of the government backing them. More often there are different forms of risk-taking instruments – often subsidized by governments. Increasingly, this appears to be a market for commercial insurance companies. A major challenge to insurers of these risk categories it the so-called moral hazard: How to provide insurance without reducing the incentive of the insured firm to do its best to avoid the damage, i.e., to really do its best to drill at the right place? If a firm is insured and compensated in case of an unsuccessful drilling, this incentive might be reduced. Interestingly, we actually observe two types of insurance offers: type one where the firm gets less money from the insurance if the drilling is successful (it is argued: because then the successful project will easily be able to pay the drilling) and type two where the firm gets more money from the insurance if the drilling is successful (it is argued: because this incentivises to determine the right drilling spot). We argue that governments will continue to play a key role in facilitating the exploitation of the geothermal potential. In this context the increased activity of commercial insurers will allow government-related actors to focus on measures such as providing information and know-how and making that public to commercial actors. This will help to, e.g., determine a promising site to drill or to quantify the exploration risk in order to determine an appropriate insurance premium. As the risk is unlikely to go away it will be important to gather information over time to make the risk at least quantifiable such that markets can deal with it. The study has been performed by Allegra Seipp, Christine Grüning and Ulf Moslener as part of the activities of the FS-UNEP Collaborating Centre. The full version (German) is available here.